So what does the CR ecosystem look like in Miami and who are the main players? What are companies’ CR priorities and are they collaborating? As a CR professional who recently moved to Miami, I’ve found myself asking these questions. This article is my personal reflection on the state of CR in Miami today and serves to introduce a series of articles that will be published by the members of a newly formed network, “Corporate Responsibility Miami,” as we work to build a thriving CR community in our growing corporate ecosystem. Over the last two decades, CR has become commonplace among corporations around the world, and for some, even indispensable. Shareholders and consumers care more than ever that the companies they support engage in business activity that protects and benefits its people, our society, and our planet. Companies, large and small, are becoming increasingly aware that CR is not just a marketing play anymore, but a strategic investment that can have tangible impacts on their returns. In fact, 90 percent of global Fortune 350 companies now publish annual CR reports that outline the positive impact of their efforts. The landmark study “Project ROI”, published by IO Sustainability, found that strong corporate responsibility practices that focus on the triple bottom line – people, planet and profits – can increase market value by up to 6 percent. They can also increase revenue by up to 20 percent, reduce staff turnover rate by up to 50 percent and increase employee productivity by up to 13 percent. The companies that operate out of South Florida are not immune to these trends. On the contrary, with the prevalence of several natural and systemic issues like sea-level rise, housing affordability and income inequality, there is a growing need to engage our local private sector in solving some of South Florida’s most protracted problems. 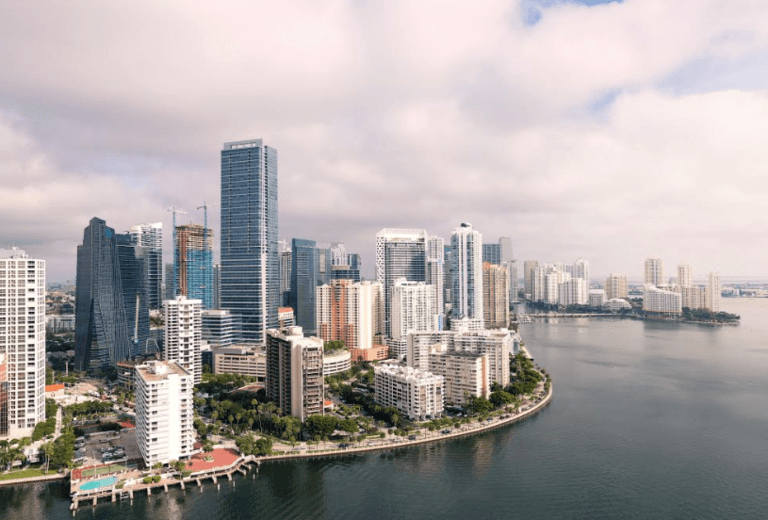 There is a large volume of international companies with regional hubs in Miami that serve Latin America and the Caribbean, but South Florida doesn’t seem to be an immediate strategic priority. There are a few sectors that are more visible than others in the corporate responsibility space locally, namely finance, tourism (cruise lines and hospitality), athletics, technology and telecom companies. There is an untapped opportunity and interest to increase and sustain the social impact of the private sector in South Florida and Latin America through increased coordination and collaboration. The need for businesses to be engaged corporate citizens is even more important in a region where the nonprofit sector is underfunded. As a region with the eight highest income inequality in the country, South Florida’s nonprofit sector has seen comparatively low levels of investment. From 2008-2013, the Miami-Fort Lauderdale-Pompano area received only $23.59 in grants per capita, a low figure compared to the Chicago region ($64.78), the New York City region ($101.96), and the San Francisco region ($216.79). The result is disheartening for the region where major challenges persist and, in some cases, worsen. In light of these trends and the fact that Miami is a transient city in constant flux, the need for a consistent and coordinated CR network is more important than ever. As a result, we have launched a new network for corporate responsibility professionals in South Florida that acknowledges and leverages the three points mentioned above. Our newly formed network, Corporate Responsibility Miami (CR Miami), was created out of a desire to better understand the local CR ecosystem and create opportunities for increased impact through support, collaboration, and exchange. CR Miami aims to create a digital and physical space for CR professionals to meet, share, learn and collaborate in support of the sustainable impact they are already working on. We’ve been grateful already to have members join us from various industries such as finance, real estate, telecommunications, as well as 3BL Media, a key partner and sponsor of this blog series. In the coming months, you will hear from different members of the network as they reflect on their unique roles in the CR ecosystem in Miami, Latin America and beyond. We are excited to continue growing our network! If you find yourself in Miami, please join us for one of our monthly networking meetings where we share best practices and ideas with colleagues. And if you can’t make your way to Miami, please be sure to check in on our regular blog posts right here on TriplePundit.com. With contributions from: Santiago Bunce Co-founder CR Miami and Alejandra Winter Community Principal, CIC Miami and Co-founder CR Miami. Stay in touch with us! Follow us on Twitter: @OfficialCRMiami. Join CR Miami and TriplePundit at 3BL Forum: Brands Taking Stands – The Long View, just outside Washington, D.C. on October 23-25, 2018. Over three fast-paced and dynamic days, the conference will showcase corporate voices on bridging the divide between investor relations and corporate responsibility, the “why” and “how” behind corporate decision-making on corporate responsibility, sustainability and when to take a stand. Receive a 15% discount using this code TRIPLE2018VIP when you register here.